What is better than amazing deals? Even MORE amazing deals – and The Dispensary has them. We are officially your new home of the $55 quarter ounce of flower and $40 mix and match grams of concentrate! As the temperatures drop in Nevada, so will our prices. Make sure to sign up for our rewards and deals program so you don’t miss out on any of the action. With Thanksgiving and Black Friday just around the corner, The Dispensary will be sure to provide the best deals and quality in Nevada for the start of your holiday season. Need a dinner table smoke with friends and family? 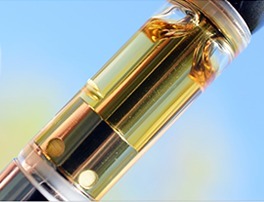 Make sure to try out our menu of full gram vape carts that will be sure to have enough incredible oil for the family to share. And don’t worry, we didn’t forget about football. How could we? Make sure to wear your team’s jersey on any game day for 10% off at any of our three locations. Welcome Raiders and Go Knights Go! Is THC found on the leafy material of the buds, or in the crystals that cover the bud’s surface? This is a question we commonly receive, and one that we can provide you with an answer to. All terpenes and cannabinoids, including THC and CBD, can be found in the crystals that cover the surface of any bud. Those crystals are called trichomes and are actually shaped more like a mushroom than a crystal. In fact, there are three types of trichomes: Bulbous Trichomes, Capitate-Sessile Trichomes, and Capitate-Stalked Trichomes. Concentrates and distillates are the extraction and concentration of trichomes from the flower. How these trichomes are processed will give us the many types of concentrates we use today, from shatter to honeycomb and wax to live resin. Now you know. “What is a motivator?”, you may ask? 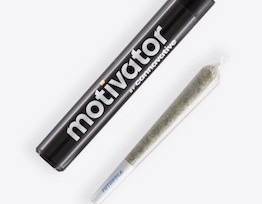 This is a full gram pre-roll with .25 grams of honeycomb concentrate that will surely make you the talk of the town in your next smoke circle. Florida Lemons is coming in at 42.23% THC with terpenes that emit notes of earth and lemon peel. Make sure to come in and get yours as they fly off our shelves. Get ready for the THC indulgence of your life. This is an incredible cookies and cream cake square crafted by Vert that will absolutely melt in your mouth. 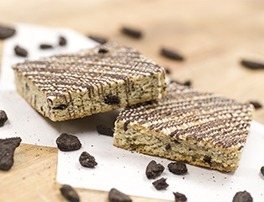 100 mg per square will ensure that you feel the full effects an edible can deliver. For those beginners out there, cut your cake square into quarters or eights, consume one small piece at a time, and allow plenty of time for complete digestion (1 – 2 hours). Vert offers a variety of flavors in case you’re not a cookie and cream fanatic like me. If you like to stock up on your cannabis products, we have just the thing for you. 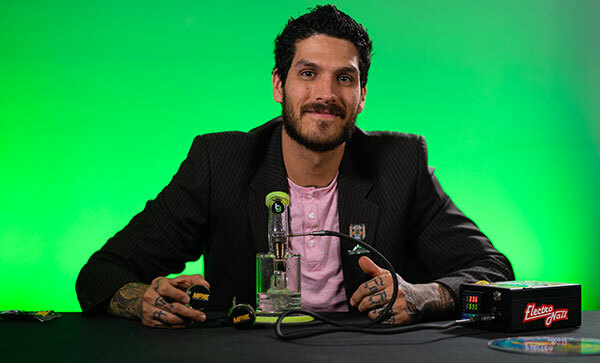 The full gram vape cart by Blackhat will take you all the way to your next visit to The Dispensary. Crossbone Cookies delivers a “stoney” sensation that will combat the worst of pain and inflammation – a benefit of this cart’s elevated amounts of myrcene. Enticing aromas of citrus cookies will fill the air around you, so make sure you get the full gram in case you have a mooch in the midst and need to share. Melting Point Extracts tours our West Las Vegas Location. MPX produced the cleanest and most effective concentrates possible. Stop by our store and grab some! Ryan Bondhus, The Dispensary NV Menu Curator & CannaSomm reviews some high quality concentrates from Melting Point Extracts! Take a moment and watch as Ryan goes in depth and does some dabs!